Welcome to White River, a progressive and vibrant community located midway between Thunder Bay and Sault Ste. Marie in the heartland of Northeastern Ontario. Set amongst a stunning landscape of lush boreal forest, and abundant fresh water lakes and rivers, White River boasts rugged beauty and a hearty climate, where wildlife and adventure abound. Perhaps best known as the birthplace of "Winnie the Pooh", White River holds an annual festival commemorating the bear cub who became the inspiration of author A.A. Milne. Read the true story of Winnie The Pooh! Residents of our area enjoy a quality of life second-to-none. From the moment you arrive, you will find a real sense of community, where raising a family and enjoying the spectacular outdoors becomes a natural way of life. With tourism on the rise, White River's economy is increasing, making our town an ideal location for your next business venture. 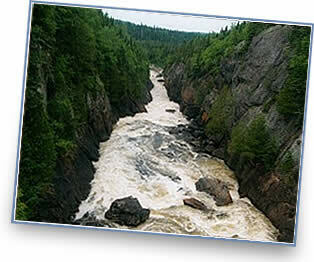 Come explore White River Ontario -- we truly have it all! Visit our Online Events Calendar for information on current and upcoming events taking place in and around White River. If you have an upcoming event you would like posted on our calendar, please contact us with full details, including date and time. Take part in the exciting celebrations and activities that White River has to offer! Connect with us on Facebook at Township of White River and White River Economic Development. The history behind one of the most beloved characters, Winnie the Pooh. Browse through our photo Gallery and see why White River is such a great town to live in and visit. Find out why White River is the perfect place to expand and grow your business.